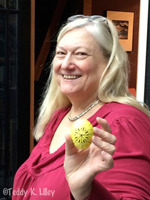 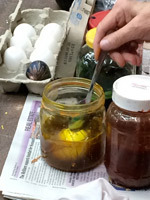 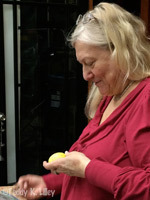 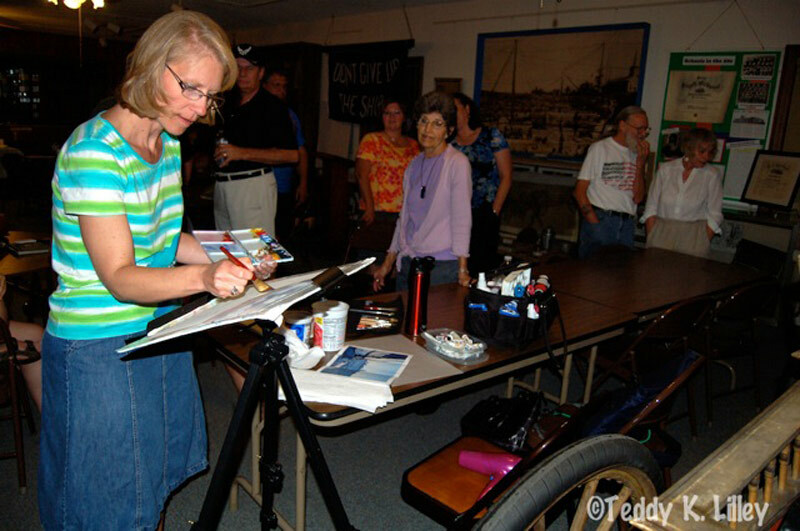 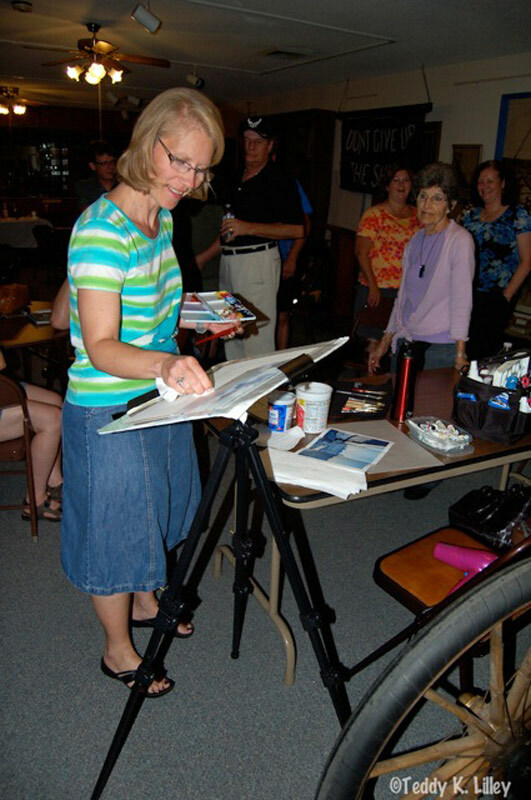 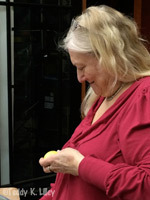 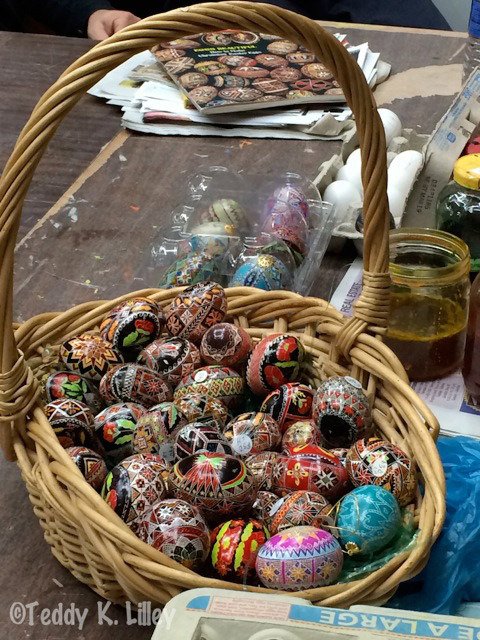 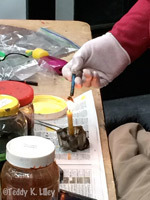 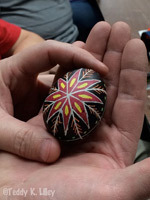 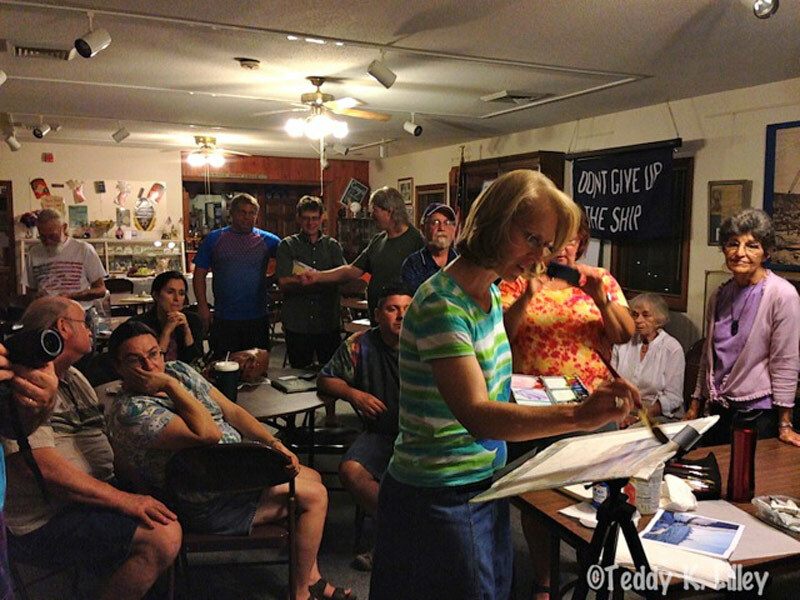 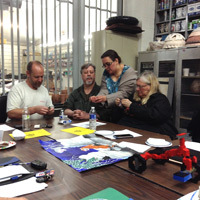 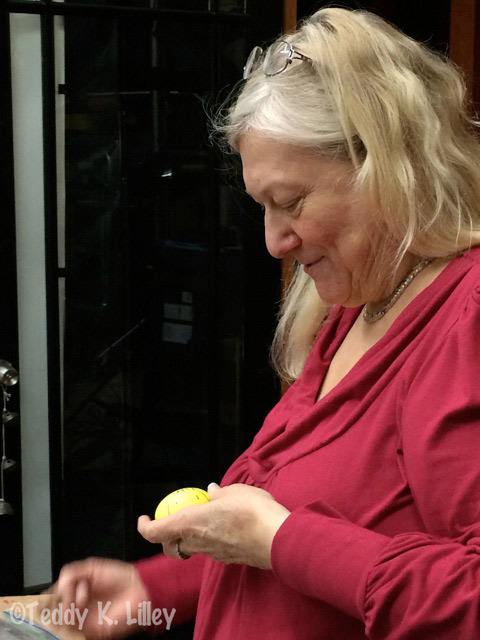 Linda Hupert demonstrated the Ukrainian method of dyeing eggs in traditional patterns, called Pysanky. 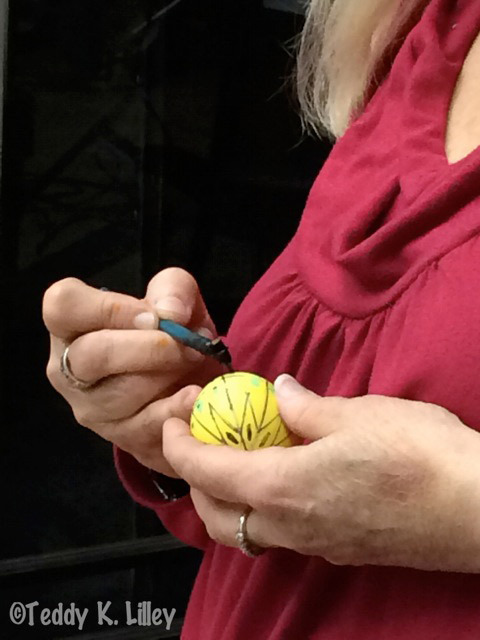 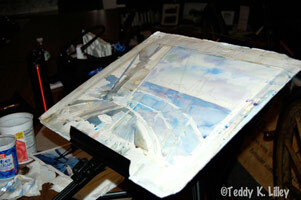 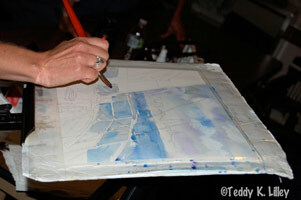 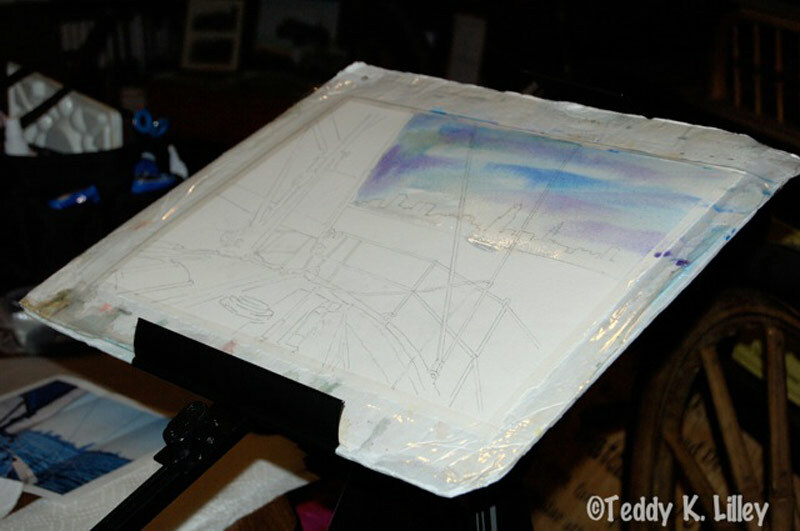 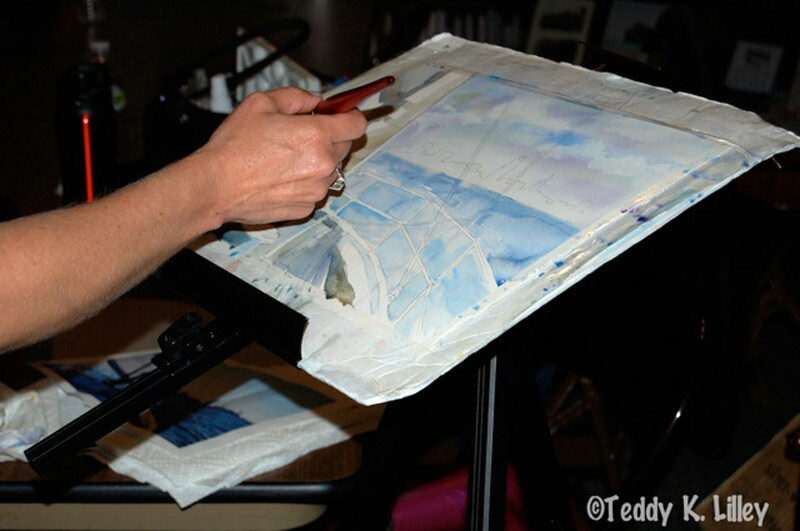 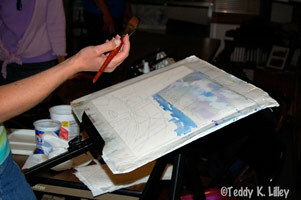 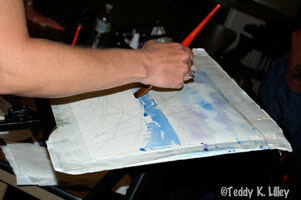 Lines are drawn on an egg with pencil, then wax applied to the lines. 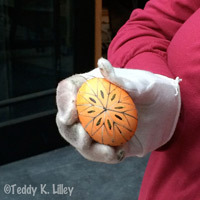 Different color dyes are applied and wax is removed to reveal a beautiful Pysanka (decorated egg). 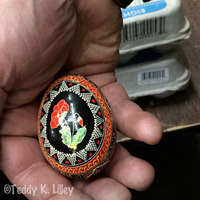 Linda learned Pysanky when she was eight years old from Ukrainian ladies in her Parma neighborhood. 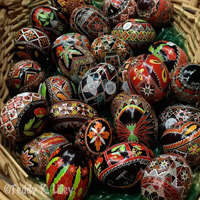 Ukrainian tradition specifies meaning for many different symbols and designs on a Pysanka. 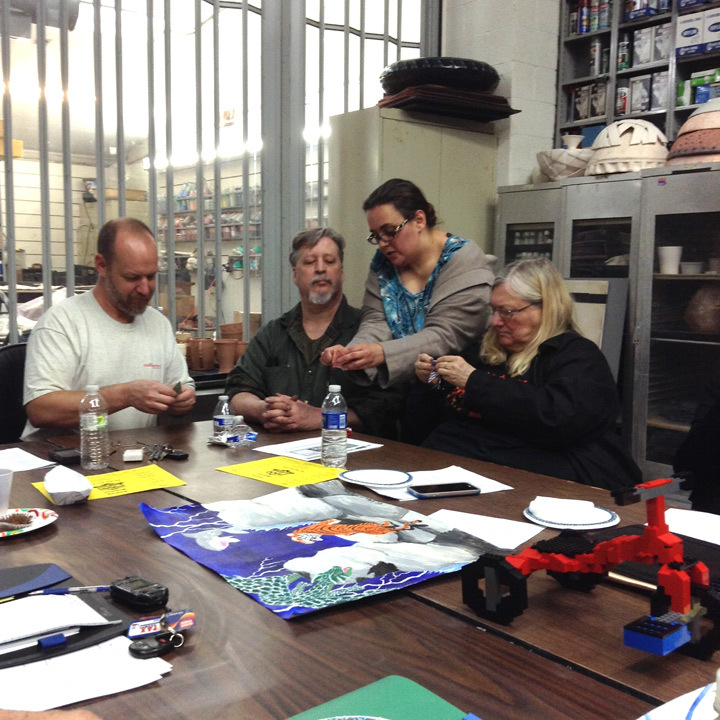 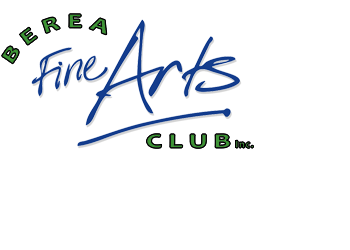 members at the Mahler Museum in Berea, Ohio.